This Thursday, crystallizing proteins from the Michael J. Fox Foundation, a dizzying virtual- reality system, ultratiny membranes and the “Refabricator” — a device that turns waste into 3D-printing filament, will all be shooting into space. This weird science and so much more will launch Thursday (Nov. 15) at 4:49 a.m. EST (0949 GMT) on Northrop Grumman’s (formerly Orbital ATK) 10th commercial resupply mission to the International Space Station. 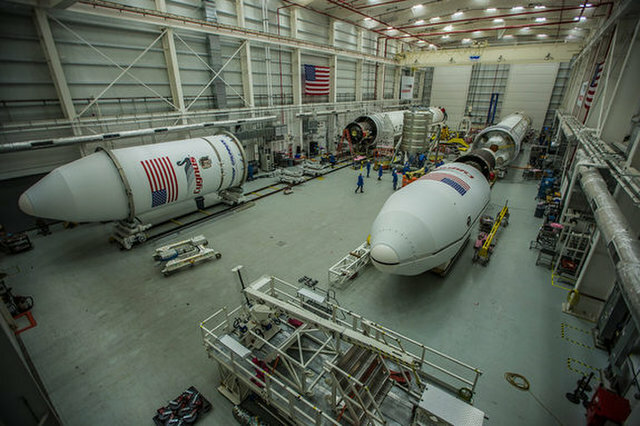 The company’s Cygnus spacecraft will lift off on its Antares rocket from the Mid-Atlantic Regional Spaceport at the Wallops Flight Facility in Virginia, carrying about 882 pounds (400 kilograms) of research and hardware for these experiments, NASA officials said in a statement. In total, the rocket will launch about 7,500 pounds (3,402 kg) of scientific equipment and crew supplies like food and clothing to the International Space Station. Refabricator flight hardware as seen from the front, similar to how it will look when installed in the EXPRESS Rack on the International Space Station. Credit: Allison Porter, Tethers Unlimited Inc. The Effect of Long Duration Hypogravity on the Perception of Self-Motion (VECTION) study, another investigation launching to the space station, will explore how a microgravity environment might affect an astronaut’s ability to visually interpret motion, orientation and distance. Here on Earth, our senses work together to let us know how far away we are from things, how fast they are moving, and how they are oriented. In space, gravity no longer plays a part in our vestibular system, a system that contributes to our sense of balance and orientation. The VECTION study aims to better understand how microgravity affects these senses using virtual reality. In this study, astronauts will wear a virtual-reality (VR) system that will provide computer-generated visual clues to try to create artificial gravity using visual acceleration, Laurence Harris, a professor at York University in Toronto and principal investigator in this research, said at a news conference on Thursday, Nov. 8. After the VR simulation, the astronauts will report how far they perceive that they moved, how far away things were from them, etc. “Many astronauts do feel disoriented or suffer from space sickness when they first arrive at the space station,” Harris said. So, to understand how a microgravity environment might affect astronauts at multiple points in their trip, they will participate in the VR simulation as soon as they arrive in space, once they’ve gotten used to the environment and once they’ve returned to Earth.